April 25, 2013 / dave / Comments Off on In praise of older…cars! Did you think I was going to write “in praise of older women”? It’s ok if you did – and there’s nothing wrong with older women, either! Wasn’t there a book, or a movie with that title? But, this is about older cars and why they are great! I’ve had older cars all of my life. My dad bought used cars when I was small, as they were a much better value. When I got older and got my own cars, I bought used cars, too. This was not just because I appreciated the esthetics of older cars (which I do! ), but more to do with the meager finances (or sometimes, the lack of even those!) of a beginning writer/artist! It would be interesting to buy a new car one day, I admit. Sure, I could have bought a new car in the past, and came close (I was test driving new cars), but I didn’t want to get into a long financing arrangement (a smart move for “new” writer or artist, where funds coming in can be sporadic). Older cars are great, in that you can buy them for cash (usually, unless it’s a very expensive classic car, etc. ), and then you have no monthly payment! That’s very nice! My current car is a 1989 Volvo 740 Turbo Intercooler, paid cash for it in 2008, came with a set of summer tires on rims, a set of winter tires on winter rims, summer mats, winter mats, roof racks, tool kit, manuals, and a spare tire! It’s got over 340,000 KM on it (bought it at about 280,000 KM), and because it’s so old I don’t have to keep paying for a yearly “air quality test” – but the car runs like a dream and looks great! It has FAST pickup – it’s got a turbocharger! And, rear-wheel drive! With heated seats! Power mirrors and windows! Holy crap! 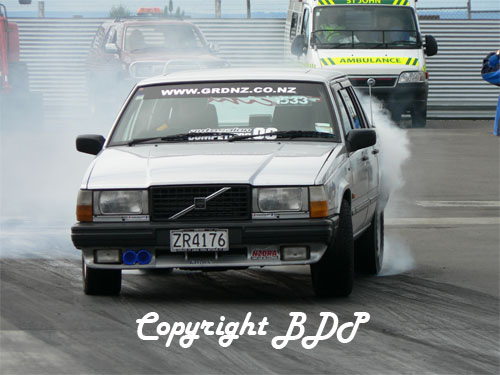 Here is a pic of a 740, but it’s not my car. Apparently they race them in New Zealand! 1989 was a great model year for Volvo (last for rear-wheel drive), and the 740’s get over 500,000 KM on the odometer no problem, regularly. Volvos are known to get up to a MILLION or even 2 MILLION miles on some models. It’s true – you can look it up! Volvo gives the owners special badges for such high mileage! I read that the owner of IKEA, who is a billionaire, drives a ten year old Volvo! They are the safest cars on the road, with many enhancements that I’ve never seen on any other cars (they tell you if any lights are burned out, have extra-bright tail lights for fog, etc., on a car from 1989!). You are basically riding in a protective cage when in one. Remember the ad where they put a ten-ton truck on the roof of a Volvo? I’ve been on several long trips with it and it never left me stranded. I have had to replace: alternator (only real problem I had with the car, after about 3 years), spark plugs, brakes, fan belt, wiper chain, in addition to regular oil and filter changes, and bulbs. Also, had to have a small rust spot repaired. Not bad for a car that old, in about 4 years of owning it! Any Volvo 740 owners in the Toronto area who have parts to sell, let me know, as I am looking for a couple of things! These cars are getting harder to find, one of the downsides of running an old beauty. See, I do need people to buy my books and stuff to keep my old beauty on the road! 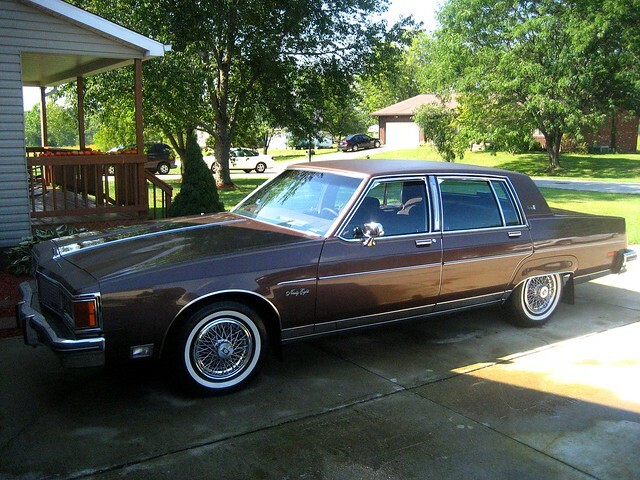 Previous to the Volvo, I had a 1984 Oldsmobile 98 Regency Brougham, also a RWD (rear wheel drive). I bought it in 2001, in very good shape, with about 180,000 miles on it. What a car! A tank! That thing rode like butter! Like a sofa on wheels! It had a lot of power and it was HUGE! 17 feet long, I believe. I slept in the back seat a few times, and I’m over six feet tall! “She” was driven on a few very long trips in all weather conditions, and never broke down! My final odometer reading on it was about 260,000 miles when I sold it in 2008. I had the Olds until about 2009, when it was in need of too much repair work to be viable for me, and I sold it to someone who wanted to restore it (wish they would contact me, or we were still in touch, I’d love to see what became of the Olds!). In all the years I had that car, and all the miles (and kilometers) I drove, the only things I changed (apart from regular oil and filters), where: radiator hose, bulbs, fan belt, battery, some fuses, brake pads, wiper blades and a new set of tires. It was an amazing car, very solidly built (about 5000+ pounds! ), had a Pioneer cassette deck, power most-everything, and lots of class! I think it was a 3-body trunk (Tony Soprano would have drooled)! I miss that car! Whenever I see one (which is rare), I always have to stare and remember, fondly. Other old cars I’ve had: Chevy Celebrity 1988 in 2000 (engine block cracked), Chevy Chevette 1986 in 1997/98 (was leaking too much oil and in need of too much body work, so I sold it). So, it’s clear that I love old cars and have one now (and, I’d keep it even if I were to get another, new(er) car!) . I do like some newer cars, of course. Usually, it’s been a financial decision to have an older car for me, but I hope I have shown that there is more to the decision to have an older can than just the cost. If you’ve got an older car and love it, I’d love to hear about it!